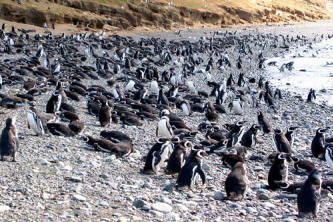 Traveling to the Magellanic Islands is literally like traveling to the end of the world. Beginning from the Argentinean province of Tierra del Fuego and continuing to the east and the south, this area of the world offers up some of the most precious (and inaccessible) landscapes on the planet. Given the remoteness of the area, flights only go as far south to the city of Ushuaia (arguably the southernmost city in the world; Chile claims this title for the city of Puerto Williams which is technically further south, just arguably not a city). 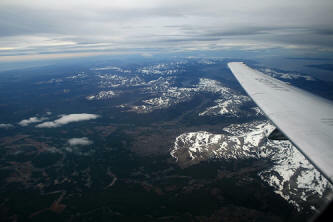 Thus, Ushuaia is a natural place to start a Southern Patagonian adventure. When you fly in to Ushuaia keep your eyes peeled for the beautiful Martial Mountain Range (part of he Andes) before you descend through the billowing clouds that seem to always hang ominously over the city. I was surprised by the conflicting vistas I saw during my 15-minute taxi ride into town from the airport. The beautiful islands, mountains and waterways incongruously collide with a city that has been worn down by domestic immigration: only in the last 20 years has Ushuaia been a tourist hotspot and it is clear that the current inhabitants have done little to preserve the natural beauty of the land. Luckily, every inch of natural forest that is still intact is heavily protected and off limits to developers. Therefore, even though you’ll likely be sleeping within the city, it’s still easy to explore the incredible natural wonders that have escaped the footprint of man. By starting your Magellanic expedition in Ushuaia, you can get a good grasp of the island’s unique flora and fauna by visiting the nearby Tierra del Fuego National Park. This is Argentina’s only national park with a coastline and while most of the preserve is restricted from visitors (for scientific purposes), you can still roam freely over a good portion of the land. One way to get there is by taking a 5-kilometer train ride run through raised sphagnum moss bogs and a sub-Antarctic forest via the Tren del Fin del Mundo (Train to the End of the World) — a train line built by Argentinean prisoners exiled to Ushuaia early last century. While exploring Ushuaia, you can take a daytrip to the famed ranch, Estancia Harberton. 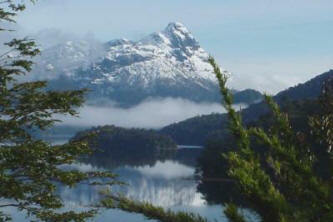 About 85 kilometers east of the city, the ranch is located on a narrow peninsula overlooking the Beagle Channel. The farm was founded in 1886, making it the oldest of its kind in Tierra del Fuego and the main farmhouse is the oldest house on the Argentinean part of the island. The founder of Estancia Haberton was a local pioneer and British missionary named Thomas Bridges, who was given the land by the government in thanks for his work with the indigenous population. 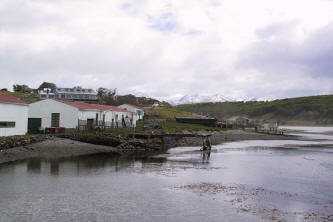 To reach the Estancia, you must go to the port of Ushuaia and take a boat tour. Once you arrive you can take a smaller boat to see a penguin colony and even spend some time walking amongst the little creatures. Once you’ve visited the largest of the Magellanic islands, it’s time to dole out some cash and hop on either the Via or Mare Australis ships and embark on the sailing trip of a lifetime. Each of these ships hold about 300 people and trips can last from 4 to 8 days. The cruise begins in either Punta Arenas (in Chile) or in Ushuaia and for those of us who shiver in disgust at the idea of a cruise, don’t let this hold you back. This is not your average luxury cruise: these vessels are concerned more about utility than comfort. Magellanic Patagonia will come into a completely different perspective when it’s seen from the upper deck of a small cruise ship. From here you can truly contemplate the deeper meanings of the words and phrases “remote” or “the middle of nowhere”. From Ushuaia out towards the Atlantic Ocean there is no human life on land: no electricity, no outposts, and no campfires. The cruise ship is too large to enter into the numerous fjords interspersed along the coastline, so passengers must dawn lifejackets and hop into little Zodiac boats that take you to the islands and inlets that you’d never be able to see otherwise. Depending on which trip you choose, you can explore several destinations including but not limited to: Magdalena Island (with its population of over 120,000 penguins), Cape Horn (this trip is weather permitting given its notoriety as one of the world’s most inhospitable places to sail), and the Günter Plüschow Glacier where the deepest blues and whitest whites will shock your senses as you gaze out at your surroundings. 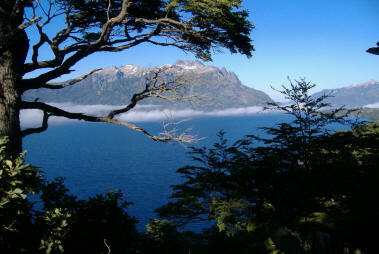 One of the most popular stops is in Wulaia Bay, where the British Captain Fitz Roy (while on board the HMS Beagle) first encountered the Yámana aborigines in the 19th century. It’s impossible not to leave here without a true understanding of why the Magellanic Islands are such a naturally forbidden habitat. Upon visiting this region for the first time, Darwin recounted in his diary, “Whilst beholding these savages, one asks, whence have they come? What could have tempted, or what change compelled a tribe of men, to leave the fine regions of the north, to travel down the Cordillera or backbone of America, to invent and build canoes, which are not used by the tribes of Chile, Peru, and Brazil, and then to enter on one of the most inhospitable countries within the limits of the globe?” I think I can come up with a few reasons.